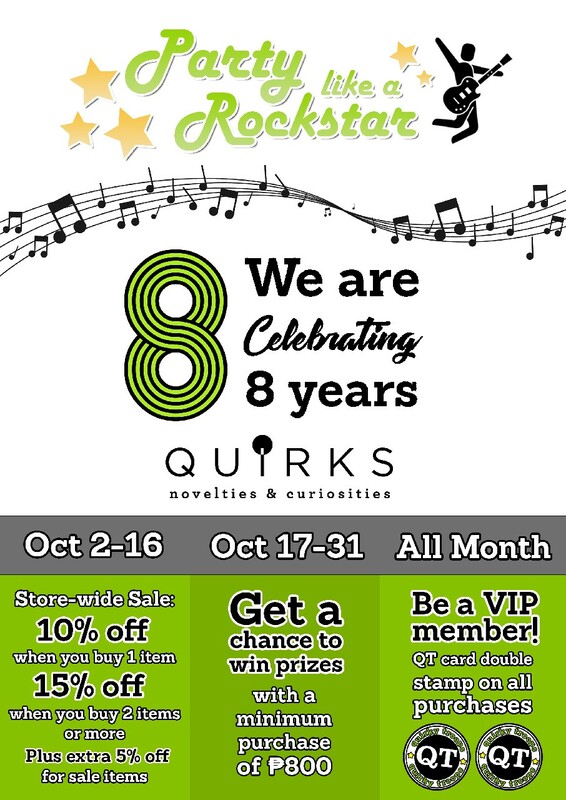 Party like a Rockstar as Quriks celebrates 8 years! 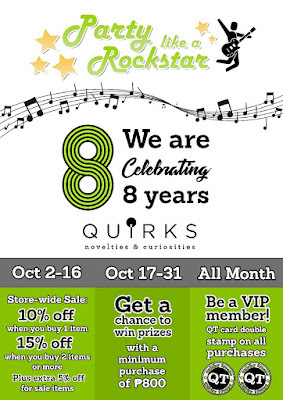 Quirks, your one-stop shop for the most unique gifts and extraordinary novelties is turning 8 years old this October! Check out Quirks Anniversary Promos happening this month of October! * October 2-15, 2017: Store-wide Sale! Get 10% off when you buy 1 regular item. Get 15% off when you buy 2 or more items. Get additional 5% off on sale items. * October 16-31, 2017: Pick-a-prize! Get a chance to win quirky prizes when you purchase a minimum P800. Quirks Branches: Power Plant Mall, SM Megamall, SM Aura, U.P. Town Center, SM North Edsa. For more info, please visit www.quirksph.com.